Racing games have always been one of the most popular kinds of video games for all time as we can see how well the famous racing game series Need for Speed is received. People love feeling the speed, it’s almost like our craving for speed is encoded in our DNA. And a well-developed racing game can well satisfy our need for speed. iOS has always been a great platform for developing great games, and it’s easy to find an excellent racing game on iOS. 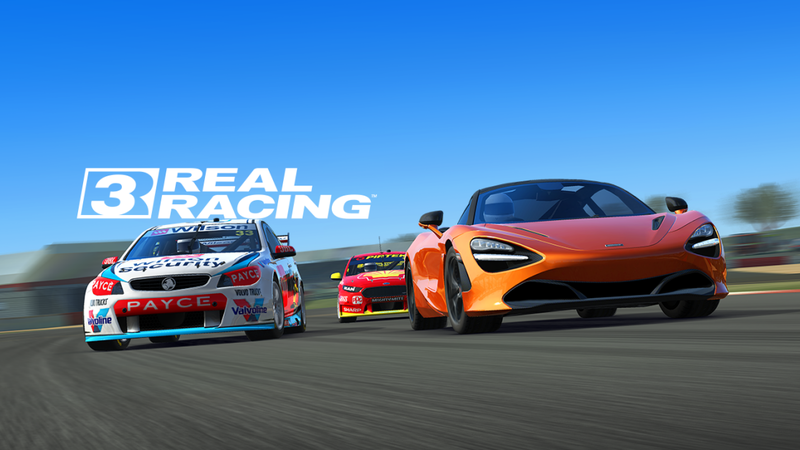 In this post, I’ll recommend to you 5 of the best racing games for iPhone. Gameloft, as one of the most famous video game developer, has shown us how awesome video games can be on our smartphones by bringing out a lot of famous games like the Modern Combat series and the Dungeon Hunter franchise. 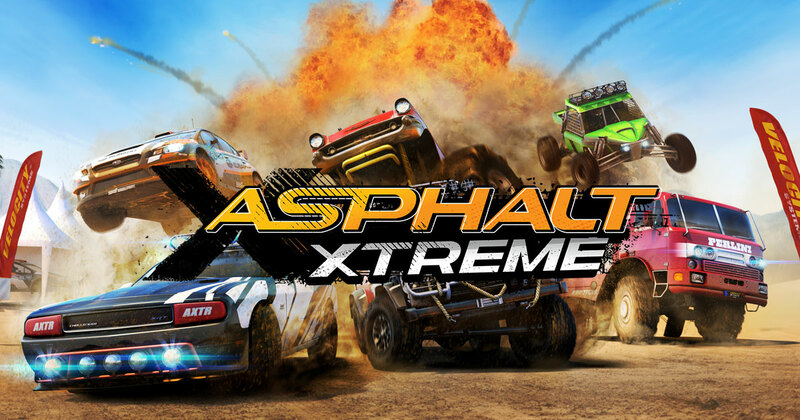 The Asphalt series has been well received and in Asphalt Extreme, Gameloft started to bring in new stuff. It’s the first of the Asphalt series to introduce off-road racing to lovers of the series. It provides all kinds of vehicles like dune buggies, pickups or even monster trucks. You can also find traditional cars from famous brands like Dodge or Ford. It’s also a great choice for people who are looking for iPhone multiplayer racing games to play with friends as it has a live multiplayer mode which allows for racing on the track with up to eight players. Real Racing 3 is first launched in 2013 but it’s still one of the best racing games for iPhone to date. What makes it stand out is that it features 18 tracks that are built based on real-world racetracks. It also provides various challenging game modes like time trials, standard races and Time Shift multiplayer mode. And the game developer has been adding new things to the game like new cars and new racing events. It’s one of the best free racing games iPhone users could find. Asphalt 8: Airborne is like no other compared to traditional racing games as you may feel like you are playing an action game other than a racing game. The graphics is fantastic and the game pace is fast and intense. With the nitro boosts and cars flying in the sky, it’ll get your adrenaline pumping easily. It’s got 180 events divided into 8 seasons and 56 high-performance vehicles. 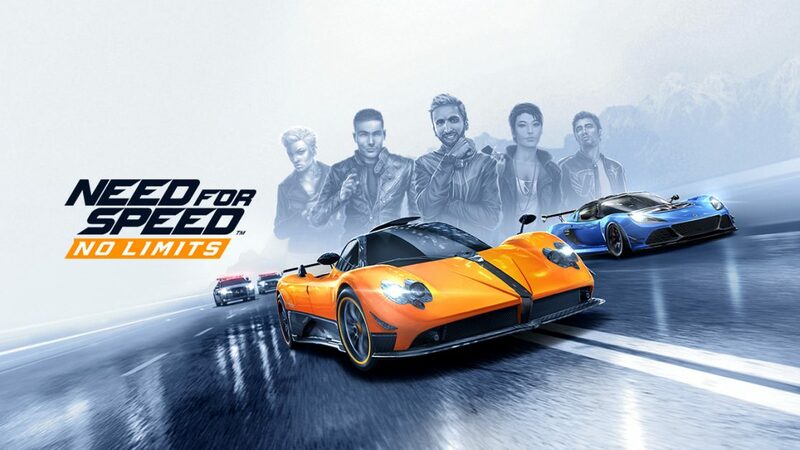 It’s also one of the best multiplayer racing games iPhone users could find as it features various game modes that provide multiplayer experiences. Need for Speed: No Limits is the first of the Need for Speed video game series to carry an original title made exclusively for mobile devices. The main features of the game lie in street racing, car customization and getting away from the police. Skills of drifting, drafting and using nitro are vital to the result of the race. Through races players can get parts and currency to improve the performance of their cars. 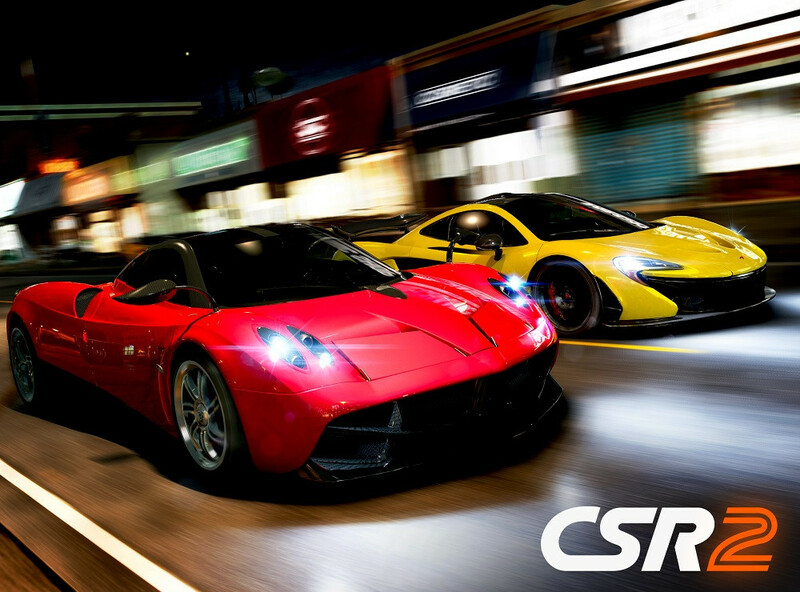 CSR Racing 2 is a drag-racing game released by NaturalMotion Games as the sequel to the first production of CSR Racing. The game features terrific graphics and a way to play racing games that is untraditional. In the game, you don’t have to steer the car, the outcome of the game depends on how well the cars are modified and the player’s grasp of skills like precise starts, gear-shifts. Above are 5 of the best car racing games for iPhone. If you are a racing game enthusiast, you shouldn’t miss it. If you are planning on trying them on your iPhone one by one, I would suggest that you install them onto your iPhone from your computer as most of these games are very large and it’s going to take a long time to download them from the App Store. And you will need a steady and fast Wi-Fi network to do so, which is kind of inconvenient on certain occasions in which you don’t have access to a solid and stable Wi-Fi network. The better way to do this is to download them on your computer using iTunes, and then install them onto iPhone. Here I would recommend to you a data transfer program which could make this game installing process much easier. 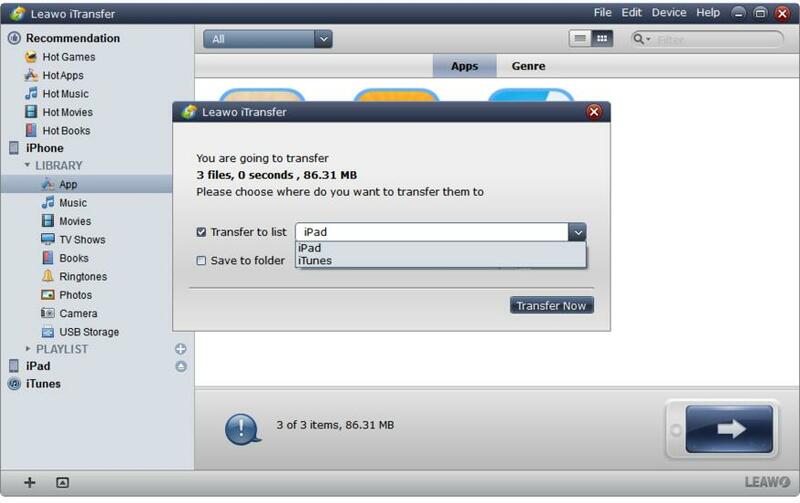 Leawo iTransfer is a data transfer program designed for iOS device users to transfer 12 different kinds of data among iOS devices, iTunes library, and PC. You can use this program to install those iPhone multiplayer racing games onto iPhone after downloading them in iTunes. 1. Launch iTunes, go to App Store and download the 5 best iPhone racing games we recommended to iTunes. 2. Plug your iPhone into your PC and launch Leawo iTransfer. The program will detect your device within seconds and you’ll be able to see detailed information about your device on the interface. 3. Click on iTunes found on the left column, and then click App under iTunes library. 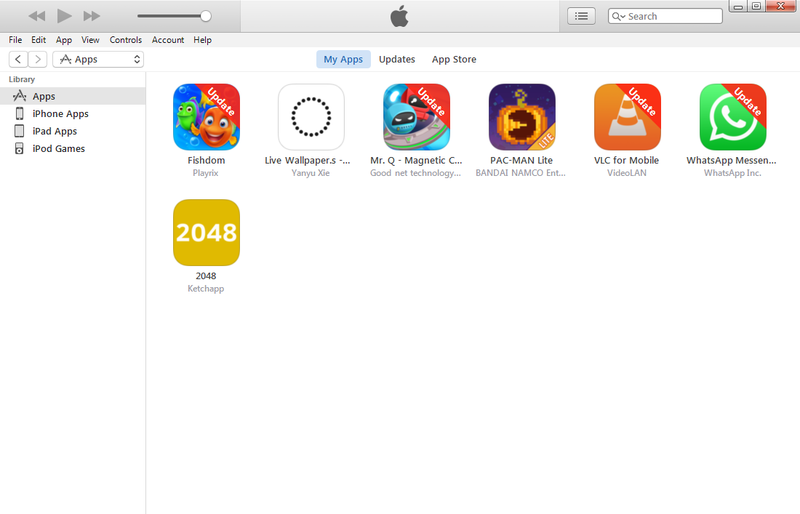 You should see all the games you’ve downloaded previous in iTunes here. Select the iPhone racing games you want to install and right-click them, and then click Transfer to>[the name of your iPhone]. 4. 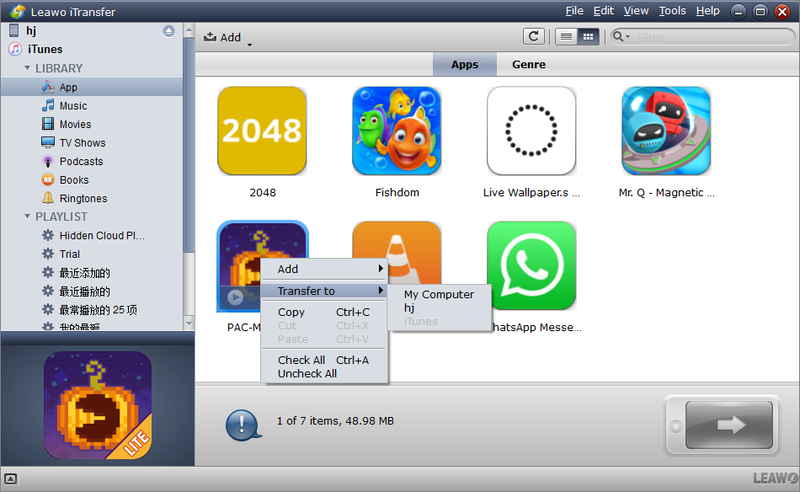 On the following window, click the option box next to the Transfer to list option and select your device again as the target, and then click Transfer Now. And the program will start installing those iPhone racing games to your iPhone immediately. Racing games are exciting and as one of the best gaming devices, iPhone does have a lot of good racing games. If you really love the feeling of speed, you shouldn’t miss the 5 best racing games for iPhone we recommended. Just try them out one by one and you’ll be surprised. If you are interested, there are also other kinds of app on iOS that are worth trying, check out the top 5 photo edit apps for iPhone here.